Another year is almost over during which, I know, many of you have traveled the globe. During this time of such international unrest, the Friendship Force goal of promotion of global goodwill is so important. This goodwill can also be shown in our own neighborhoods by taking on one of the many volunteer opportunities available to us and by volunteering to help this club in its activities. Unfortunately, the Nor Peru club cancelled their exchange to our club in February, 2016. However, there are several exchanges in the next year which can be found in other parts of this newsletter and on the Friendship Force International website under the 'Travel for Good' tab. Meanwhile, the Board is meeting to discuss updating our policies and by-laws to match those of FFI. Many of those changes will be brought to the general club membership for review. Several of our members have been grappling with health problems over the past year and I'm sure we all wish them much improvement in 2016. I’d like to wish you peace during this Holiday Season and all the best for the upcoming New Year. Program: Get yearbook, overview of year's programs, interactive games - What Do You Know About FF? Food: Lunch portion entree – choice of veggie pasta with Alfredo sauce, chicken/ cheese quesadillas, Outback burger, or coconut shrimp; with it – a choice of soup or salad or side; plus coffee, tea or soft drink and tip. Cost: $10 received by deadline of Jan 4 or $15 Jan 5 -10. This schedule is tentative and subject to added details and changes. Contact Paula Rose if you would like to speak or offer suggestions for speakers/activity for open meetings or places that can accommodate our group. We enjoyed meeting ten new members from Georgetown, TX on the weekend of Nov 13, 14 and 15 (the “Georgetown Ladies”). This mini-exchange was the first one for our new neighbor club and they seemed to enjoy the experience. One “friend” of a club member who came on the exchange just to complete the required 10 ambassadors announced she was sold and would join the Georgetown club. Thanks to Paula Rose, Exchange Director, who put together most of the program solo and to the hosts: Paula Rose and edward perez, Georgia Sigalos, Patty Niemeyer, Carol Chapuis, Isabella Iverson and Gerry Arens, Lee and Mary Latham, Mary Williams, Diana and Marty Behannesey and day host Martha Durst. Pat Peters put together some attractive gift bags. Our guests departed on Monday Nov 16 with a better idea of how exchanges and clubs work and with new friends in Dallas. We look forward to seeing them again in a post SW Conference (in Austin) stay in April. See the article that appeared in the McKinney paper - Club News. See more photos from the exchange on Completed Exchanges page. We celebrated the season with our annual holiday party at Chimneyhill Clubhouse on Dec 10. Members brought snacks and goodies to share. NEW! This exchange has had one couple cancel and can now take either one single or one couple for the exchange and the extension. This outbound exchange to Santiago, Chile is scheduled for April 20-27, 2016 + 7-10 days optional extension. One week homestay is $650 with the extension to Iquitos, Peru and the Tahuayo Lodge in the Amazon cost for the extension - $790 double or $950 single room. You can download the flyer with details from our website or get one from Ray Enstam. Contact Ray immediately if you are interested at enstam@sbcglobal.net. By mid-January we should have our proposed destination(s) for 2017. If you have any questions, suggestions or requests, please contact Ray Enstam, International Exchange Coordinator - enstam@sbcglobal.net. Domestic Exchanges for 2016 include both an Inbound and an Outbound. An outbound exchange to the Birmingham, AL club has been arranged for May 27-June 3, 2016. This club is able to host 15 ambassadors and offers tours of the Civil War Museum, the National Historic Landmark Sloss Furnace, and Arlington House (Antebellum mansion) among other activities. Cost will be set by the Birmingham club and should be about $100-$150. It is a two-day drive from Dallas and some people may be driving and carpooling. Though our domestic exchanges are not our primary purpose for Friendship Force, they are always a lot of fun and enhance our appreciation and understanding of our own country. so you can begin coordinating with this club. (If you are a relatively new member – this is a fairly easy way to get your feet wet being a first-time Exchange Director – help is available from others who have done it before.) Also let Patty know if you have an interest in going to Birmingham (not a commitment – just possibly interested). Dallas will host our friends from Columbia Cascade (Portland/Vancouver, WA) October 22-29, 2016. If you are interested in being the ED for this exchange, please contact Patty Niemeyer at peanutpatti1@verizon.net. It isn't too early to step up. In 2017, Dallas will host Birmingham in the spring. An Outbound exchange for 2017 is being investigated with several clubs. If you met people from the U.S. at the International Conference possibly interested in an exchange with us, contact Patty. The Travel show will be back in Dallas on January 30-31 at the convention center. If we have enough people who want to go, we could get discount tickets. Rick Steves is one of the speakers. The full cost is $12.00 per individual ticket. See www.travelshows.com for more details. Contact Mary Latham if you are interested. We could use more shuttle drivers who are willing to drive to and from our airports; contributions to our club by recipients of this service are a MAJOR source of club funding. Contact edward perez – erperez@acm.org to volunteer. When you need an airport ride, send a request to the Yahoo Shuttle Service list – see instructions on page 39 in your yearbook. Reply to all when responding. Then when your ride is complete, make a donation to the club. Easy! If you have not sent in your renewal form for your dues, please print and send the attached form to Bill Pierce with your check made to Friendship Force of Dallas ASAP. edward perez also needs to know if you are renewing or not so he can list you in the yearbook. Let Bill/edward know if you do not plan to renew. Then plan on participating in activities and exchanges sponsored by our club, the Southwest region, other FF clubs and FF International. Send your news to Dale Klosterman at daleklost@gmail.com. McKinney’s downtown square was enjoying its usual bustling activity this past Sunday morning, the outside patio areas filled with folks enjoying the gorgeous fall weather and some tasty brunch selections at places like Spoons, Rick’s Chophouse, The Celt and Sugarbacon Proper Kitchen. The newly-expanded Snug on the Square was my destination, thanks to a brunch invitation from McKinney resident Sharri McIntosh (pictured, center). She wanted me to meet her two house guests for the week, two delightful ladies here this week on a cultural travel exchange. 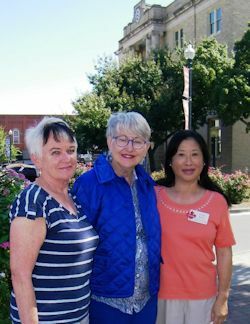 Sharri’s guests, Hilda Miller (left) and Pearl Wong (right), are visiting with a group of 13 travelers from Vancouver to spend a week in North Texas before heading to San Antonio this coming weekend, then some of the group will go on to Galveston for a few more days. 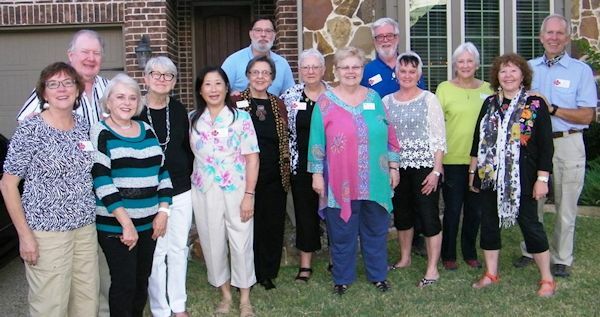 The Vancouver visitors are staying in Dallas area homes this week, an inbound cultural exchange with the Dallas Chapter of The Friendship Force, an international organization that seeks to build personal relationships in an effort to foster world peace. “When you travel and stay in hotels, you just see the surface of an area, but when you stay in someone’s home, you get to see it in depth, and you get to see that while we may have cultural differences, there are many more similarities than there are differences,” Pearl said. “The similarities are so strong,” Sharri agreed. 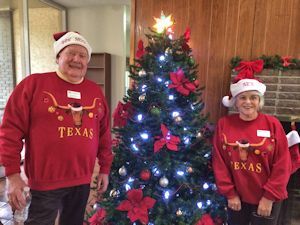 The McKinney resident who moved here three years ago from the Austin area joined Friendship Force in 2010 and has hosted other members four times. She is a member of the Dallas chapter, the group hosting the club from Vancouver this week. 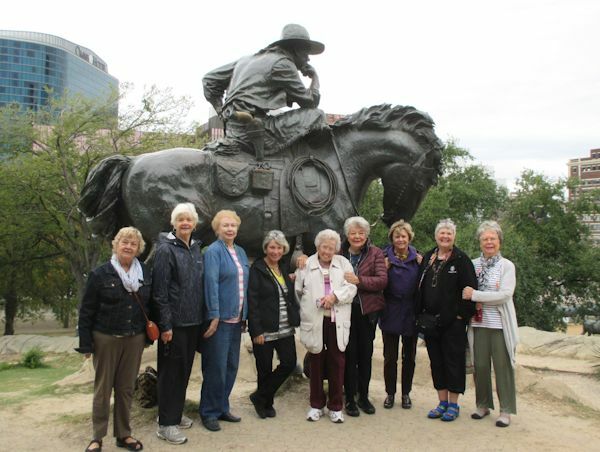 Like the Dallas chapter, the Vancouver group has roughly 50 active members who regularly participate in the exchanges and other travel opportunities. Aside from home stays, members can enjoy language immersion trips, “Semester at Sea” cruises filled with lectures and fellowship with other global members, and Friendship in Action missions to complete work in foreign countries. Each chapter also hosts local meetings. All three women learned about The Friendship Force via word-of-mouth from friends or acquaintances which seems to be the norm. In North America, the membership seems to be heavily made up of retirees strictly because they have more time to travel. Members are not required to host guests and can select what types of travel opportunities they want to take part in. For club exchanges, the majority of activities are planned ahead with itineraries each day and leaders for each from within the host club. The hosts usually have a free day to share their hometown and then they take their guests to chapter-sponsored welcome dinners and outings. Aside from home stays, members can enjoy language emersion trips, “Semester at Sea” cruises filled with lectures and fellowship with other global members, and other types of trips. Paula Rose, a Dallas Chapter Excursion Director, spoke of a couple Friendship in Action trips she and her husband Edward have taken with the group. Paula and Edward even met a family on their language immersion trip to Bogota, Colombia, who later sent their teenager to Lake Highlands to live with them as an exchange student during her gap year between high school and college. “You truly do wind up having family members all over the world,” Paula said. Anyone interested in learning more about The Friendship Force can visit the FFI website to locate the nearest chapter. Those interested in more information about the Dallas chapter should visit the chapter's website. 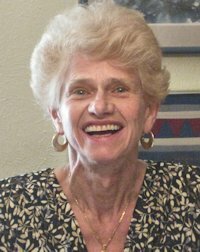 Dale Klosterman reports that Hilda finally has her hip in place and is slowly recovering. Ray Enstam has completed a translation of Selva Trágica: Captive in the Jungle by Arturo D. Hernandez. Selva Trágica was first published in Spanish in 1954 and won the Ricardo Palma National Prize as the best novel in Peru that year. A French edition was published in Paris in 1956. This is the novel’s first translation into English. Other works of Hernández include Sangama: A Story of the Amazon Jungle, Bubinzana: The Magic Song of the Amazon, and Tangarana and other Tales. Steve is a native of Oak Cliff, growing up mostly in Dallas with some short times residing in south Texas and mid and south Louisiana. He graduated from Adamson high in 1965, UT Arlington with a BBA, and University of Houston Law Center in 1973, passing the Texas Bar that same year. Professionally he practiced in house for an insurance company for 2 years then spent the next 38 representing people not corporations, governments, or institutions. He figures his first 2 years were spent shafting people and learning how it was done, then the next 38 years were spent using that knowledge to help people. 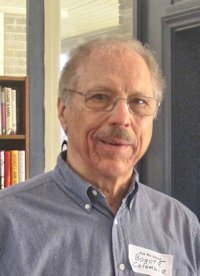 He retired in June 2014 and stayed active with volunteering (mostly through church - First Unitarian Universalist Dallas), exercise, travel and his hobby of archaeology. He has been married for 38 years to Pennylee, and they have two grown children, and no grandchildren. The 2016 International Conference will be held in Marrakech, Morocco. 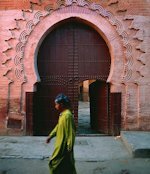 Note that the extended dates are Sep 16-19 with registration on Sep 15 allowing more time with friends and more opportunities to explore beautiful Marrakesh. (Plan to arrive on Sep 15 in order to fully participate.) Centrally-located accommodations are at the Kenzi Farah Hotel with its cooling pools and traditional hammam, nestled in 3 hectares of lush palm groves. “Happy Holidays! As we continue preparing for the Southwest Friendship Regional Conference, please mark your calendars for April 1 - 3, 2016. We are excited to host this conference in Austin, the heart of Texas. There will be plenty of opportunities to learn what's new from Atlanta, to network with folks from other clubs and to have fun. Our hotel is very close to downtown where can you experience why Austin is the Live Music Capital of the World. And don't forget: the bluebonnets in and around Austin should be in peak blooming season." We have received Registration forms. If you are a Dallas club member you will receive on by e-mail. You can access a pdf file of the Registration Form by clicking here. You can access a pdf file for Hotel Information/Registration by clicking here. Come experience Texas hospitality and fun in the Live Music Capital of the World. Expect a lot of fun and excitement at the Gala Dinner and Dance on Saturday evening! The Conference will be in the Wyndham Garden Hotel, minutes from downtown Austin. You make your own reservations. See the following page for hotel information. Friday: Registration in the hotel lobby starts at 3:00 before you visit our HOSPITALITY RECEPTION. There you’ll meet new friends and renew friendships from our ten Southwest Regional clubs. Enjoy browsing through the SILENT AUCTION items and begin making your bids. Winners will be announced Saturday at the close of business. The PRESIDENTS’ MEETING will be held from 8:00 – 9:00 p.m.
Saturday: The opening ceremony begins at 9:00 a.m. with exciting speakers followed by workshops taught by our FFI leaders. They will show us ways to really enhance our FFI experience. After business comes pleasure! The GALA DINNER AND DANCE with live Texas music begins at 6:00 p.m. Bring your party clothes. BUT WAIT, THERE’S MORE… Stubb’s Gospel Brunch, 1-hour Boat Ride at sunset to see our Bat Colony come out to feed, downtown Austin dining, stroll our paths around Lady Bird Lake, visit the State Capitol Building. For more time in Austin, the Wyndham agreed to the same convention price for two more days stay, should you choose. Update December: Thanks to the amazing contributions from our Friendship Force members and clubs, we have surpassed our goal of raising $40,000! This total will only cover a portion of the cost for a new database and website, so if you are considering donating, please do. Since presenting our members with the “I’m In” challenges at the World Conference in Vancouver and again in a later Communique, you have stepped up to donate $31,775! We are over halfway to our goal of raising $40,000 by December 31, 2015. Clubs have donated a total of $17,407 and our individual members have donated $14,368. Some of these funds came from our Georgia Gives Day where we raised $4,500 in just 24 hours and $4,625 total! The new database and website are absolutely crucial for us to be able to support our amazing members worldwide and fulfill our mission. Click here for more information about the campaign. You can donate now to our “I’m In” Campaign or you can send a check to the Friendship Force office in Atlanta with “I’m In” written in the memo section. In the spirit of the upcoming American Thanksgiving holiday, we want to remind you of a few ways that you can give to Friendship Force for our “I’m In” Campaign and beyond. AmazonSmile is a simple and automatic way for you to support FFI every time you shop, at no cost to you. With nearly 250 million shoppers annually, Amazon is likely to be a shopping site for many of our members. By simply shopping at the website www.smile.amazon.com, Amazon will donate a portion of your purchase price for eligible items to FFI. If you are only of the millions of shoppers who uses Amazon, please consider adding Friendship Force International as your charity of choice. For more information about how AmazonSmile works, you can visit their information page. Join Exchanges with Other Clubs. Remember that you are welcome to join other clubs on their exchanges if there is room. Please contact clubs well in advance, as an exchange may cancel if the Exchange Director doesn’t know about your interest. See pdf flyer on this Panama exchange. International Application is available below (FORMS) and on the FFI website; you can complete it online and send it from your computer. UPDATE: One space for a woman available due to cancellation. Zia Shamsy is leading an FFI Discover China trip to Beijing, Xian, Suzhou, Hangzhou, Shanghai, and Zhujiajiao, China. This exchange presents you with plenty of opportunities to immerse yourself in the rich culture of China: the historic Great Wall, a traditional Peking duck dinner, an introduction to the silk spinning industry, a boat ride on Hangzhou’s West Lake, a visit to a pearl factory, dinner and show at Circus World Shanghai (optional), and much more. See Other Clubs. See where these and other clubs are going on the Other Clubs page.